Knock knock? Who’s there? Your new garden shed! Here is a totally unique idea for unwanted doors you may have stored in the attic. Why not transform them into a beautiful and functional garden shed? 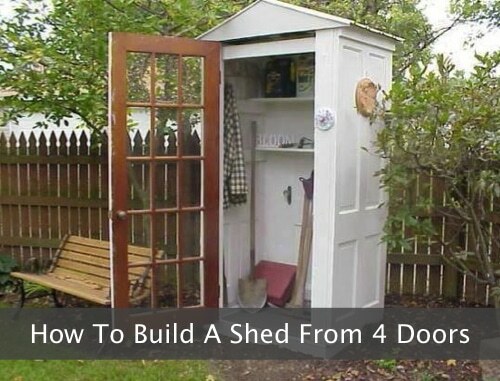 To get the basic gist of it, watch this short video and learn the steps you can take to construct your own garden shed. Need more info, follow the links for more detailed info.